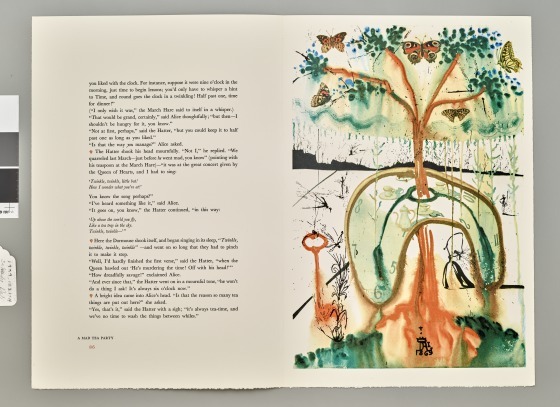 In 1969, Random House publishers commissioned Salvador Dalí to produce an exclusive edition of Alice in Wonderland, originally written by Lewis Carroll in 1865. Dalí created twelve lithographs and a frontispiece, arranging both the text and images in this deluxe publication. 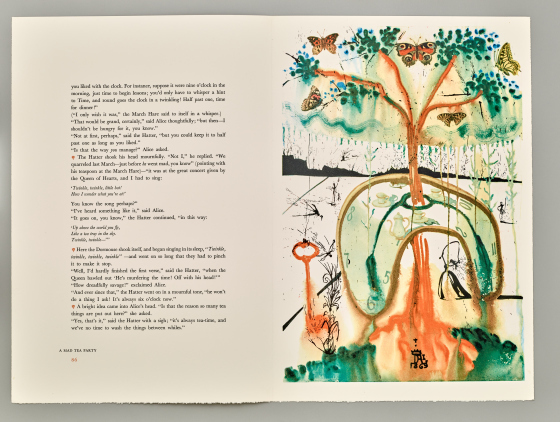 He included a full-page illustration in each chapter that relates directly to the narrative or highlights the strange and whimsical nature of Carroll's tale. 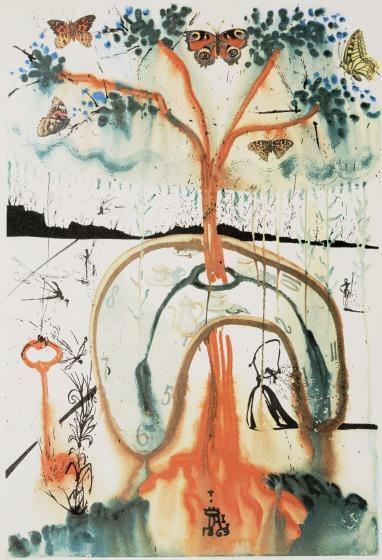 Some of Dalí’s characteristic subjects appear in the illustrations: the melting clock in A Mad Tea Party, the snail-like man in A Caucus Race and a Long Tale, the butterfly in The Rabbit Sends in a Little Bill, and the jump-roping figure of Alice. Check out John Tenniel's classic illustrations for Alice in Wonderland. Learn more about Alice in Wonderland in film starting in 1903.